Promise sporting her hand knit sweater, thanks Mom! The farm has grown again. I’ve added a new 3 year old doe, Sophie to the goat crew. I decided that if I was breeding Tallulah this year, and she singled again, that kid would be pretty lonely without another kid it’s age to romp and play with. So, I went looking for a nice doe to add to the flock. 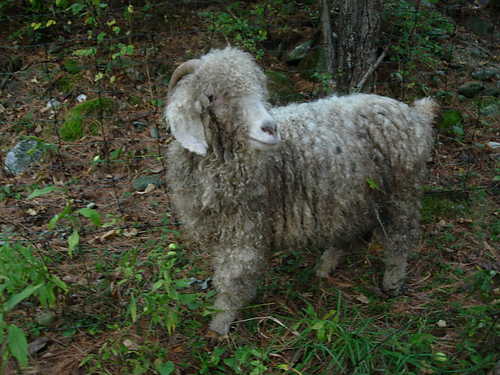 I was lucky to find Sophie, she is a sweet girl, who has twinned in the past, and who needed to be rehomed (former owner has mostly dairy goats and sheep, and had no place to keep her safe from their huge dairy buck). She has settled in to the flock here nicely, though Tallulah is still the queen. She and Tallulah and Four are enjoying the honeymoon suite this month, and hopefully we’ll have a few kids in April. I also added a new ewe to the flock. She’s an icelandic/romney cross, from my neighbor John’s farm. He wasn’t going to breed her, since she’s a cross, so was going to send her to the butcher. 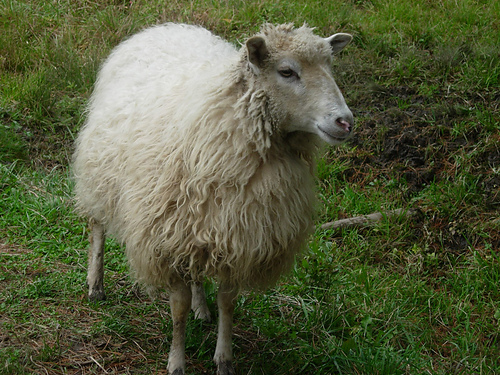 I thought she was a pretty ewe, with an interesting fleece, so I brought her home. She’s been hanging out with Skippyjon for the last month. I think they will make beautiful lambs together. Gabby, short for Gabrielle. She’s a talker. 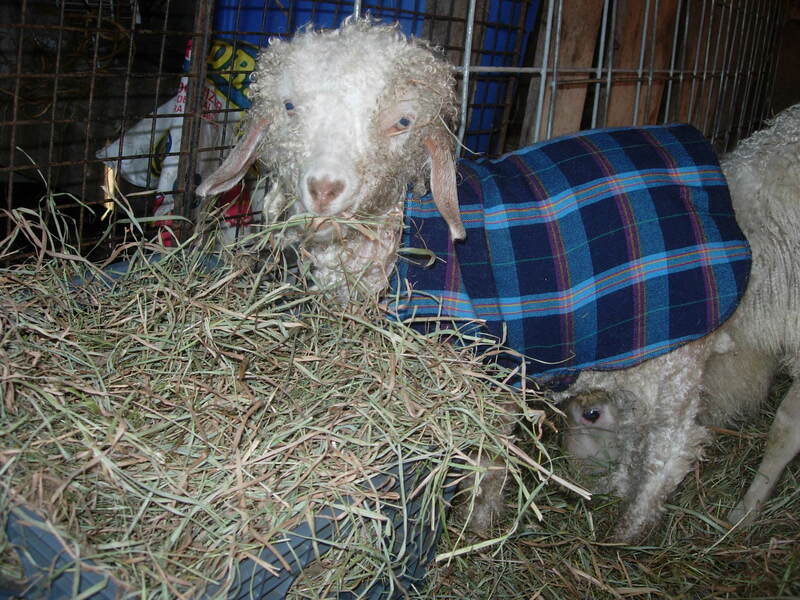 In other farm news…last weekend John came down and sheared all the goats and the 2 shetland ewes, Susie and Anna. It’s a bit later in the season than I normally like to shear, but it’s been so rainy that I had to cancel 3 appts with my regular shearer. Fortunately John was willing to come and help out, or I think I’d still be trying to figure that out. Of course, the nice warm Fall weather we’ve been having skipped town right after the shearing. So, the kids got put in coats, they were shivering like crazy. Persy is stylin' in plaid! Promise has been successfully (and easily, surprise!) weaned. Tallulah did it all on her own. After shearing I put Tallulah and Sophie in with Four for breeding, and I was expecting alot of noise from Promise once her mama was gone. But, amazingly, neither of them seem to have noticed. Promise and Persy are buddies and always together out in the pasture and in the barn. So, that was a huge relief. We’re just about ready for winter now…wood is all stacked, propane and oil tanks are full. I even got a replacement oven for the house so I can bake and roast all winter long. Breeding is under way, and if all goes well, I’ll have 2 bred does, and 3 bred ewes. 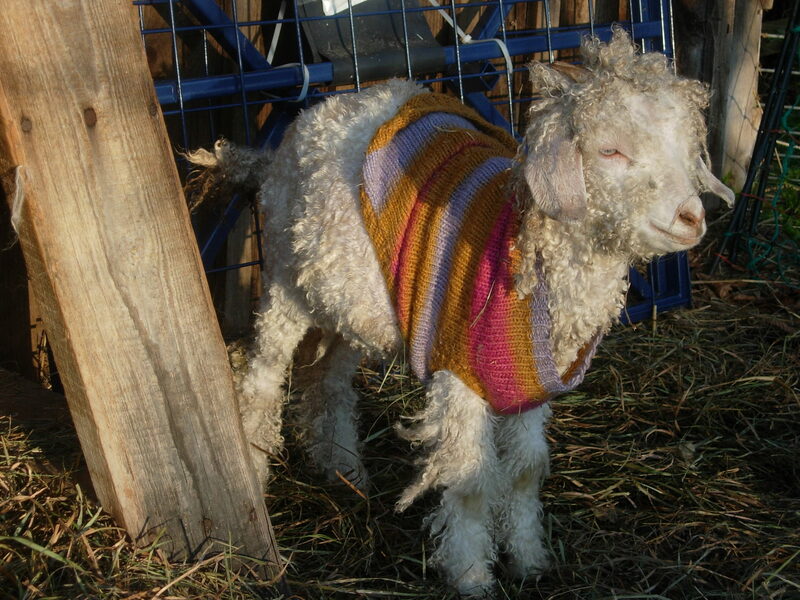 I’m looking forward to kidding and lambing season, which should get started sometime in April. The farm has had many visitors this Fall. Hurricane Irene has come and gone, and while the farm didn’t suffer any damage, my neighborhood and town were hit pretty badly. I’ll talk about some of that in another post. I’m trying to get the blog caught up with life, but life just keeps rolling along. I’m going to try to be a better blogger, should be a bit easier with the shorter days and fewer outdoor chores/projects to be done. I’m thankful for the mild weather we’ve been having, I’ve only had to haul water from the house one morning so far, and that was weeks ago. I’m hopeful for a mild winter, but I’m pretty sure that’s a long shot. 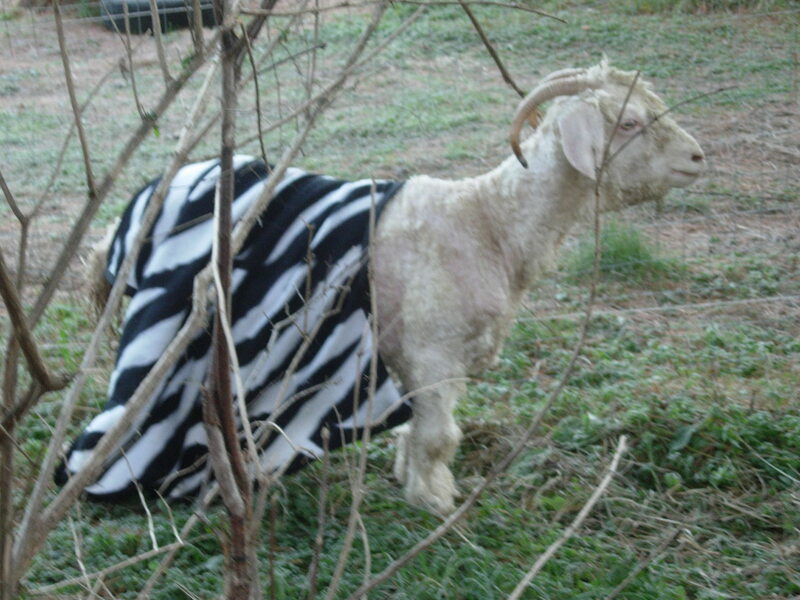 Tallulah was having none of the zebra coat, she was out of it in less than a minute. Gearing up for winter. We’re back! I didn’t know you saved Gabby from the BUTCHER! Gold star for you. As well as if perhaps you’re pondering the particular store could very well turn regarding together with deliver the discount coupons back towards the producer back to get their funds back. An automatic response during crunch time improves sports performance.